Verge of War will be headed back to Kickstarter soon. Some of the new figures they'll be looking to fund are the Void Raiders. 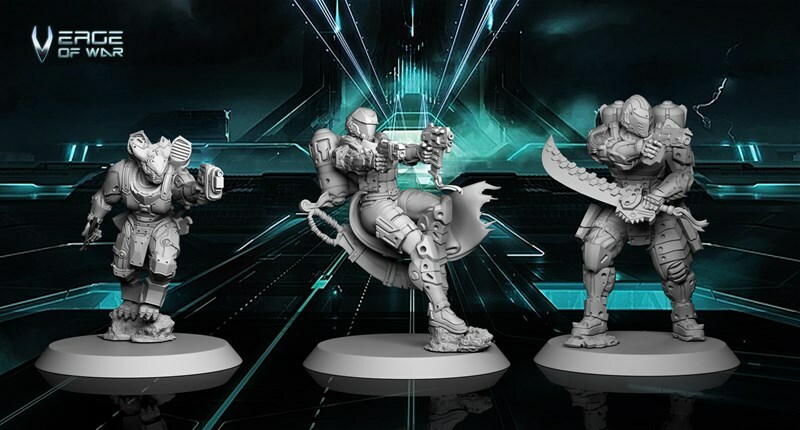 They've posted up a preview of these minis and would love to hear what you have to say about them. Sometimes you just miss out on a Kickstarter. Something else as going on. You didn't have the funds right then. Whatever. Thankfully, there's still sometimes a chance to get in on all the cool extras, the special pricing, and still be part of the campaign during the Late Pledge. That's what's going on now for Verge of War. 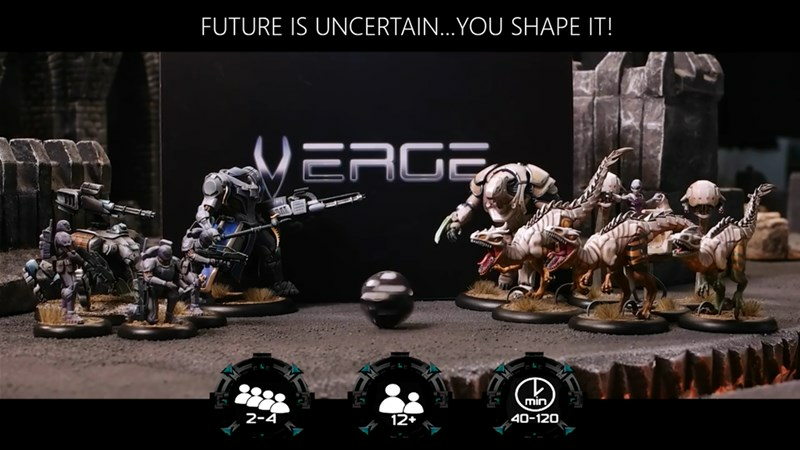 If you're in the market for a new sci-fi minis game, this could be the one for you. 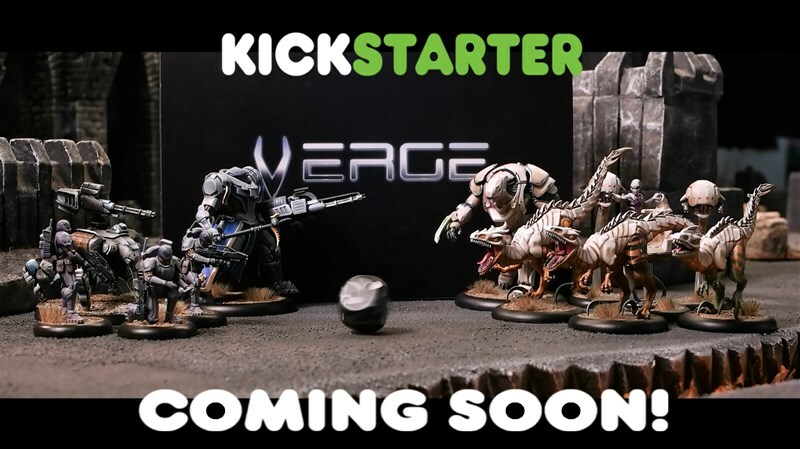 Verge of War, the sci-fi minis game that not only successfully funded on Kickstarter, but was able to ship out 3 months before their scheduled date, is looking to expand their game. They're showing off the upcoming Pirates faction. I had never thought was a pirate hat would look like on some dude in beefy power armor. Now I know. And it's pretty damn awesome, if I do say so myself. 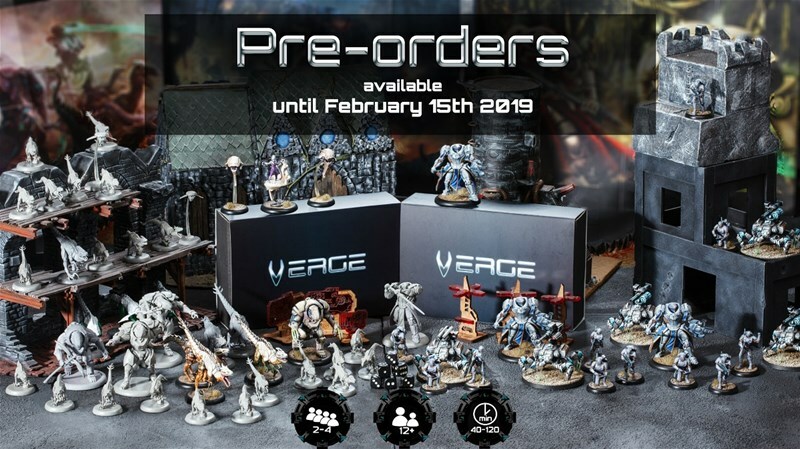 The folks over at Verge of War have launched their Kickstarter campaign for their new miniatures game. Verge of War takes place in a sci-fi universe of its own design. And, I mean... they've got cybernetic alien dinosaurs, y'all. What more could you really ask for? A new wargame will soon be making its way to your tabletops. It's called Verge of War (so you could say that we're on the verge of Verge of War), and it will take players out into the far reaches of space. The new system will include 10 factions, as well as a new modelling system called Free Pose Miniature technology (considering my love of conversions, it's got my attention). Also, at least one faction has space dinosaurs. So they've definitely got me interested.